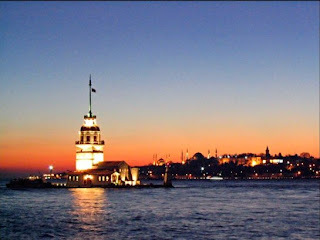 Istanbul is a wonderful city, I lived there for a year and a half and loved it. People from all over Turkey go there to find work and a better life. The apartment I lived in had people from everywhere. Sivas, Urfa, Bulgaria, Ankara and from various regions of the Black Sea. A couple of ladies were from Istanbul, Kadikoy when they were younger, thier families still having the ancestral home there. They were all a wealth of stories and recipes. Whilst the lady who gave me this recipe is not sephardic herself it was a family favorite and she passed it on to me. Turkey has a wealth of soup and yogurt recipes, many of which I have made myself. This soup has yogurt in it, don't let that put you off. I have enjoyed alot of yogurt soup dishes many of which I never thought I would have. After moving to Antep it led me to discover a local dish made for one of the festivals, Yuvarlama. Yuvarlama is made with meat and rice meal made into köftes then cooked in a meat and yogurt sauce. If mixing meat and dairy is not your thing you can also make it with chicken and yogurt and which is equally delicious. But here I'm getting away with myself, I will post that another day. Put chicken thigh into a stock pot. Cover with water just 2cm above chicken. Add salt. Bring water to boil. Skim foam from the top of water. Cover pot and reduce heat to simmer. Simmer for three minutes, remove from heat and allow to sit covered until cool. Slice leeks in half and wash well. Chop leeks and celery. Heat a second stock pot over medium heat. Add oil and vegetables (all). Cover and cook until very tender. Take the chicken from the pot and allow to cool on a plate. Pour water from the stock pot into the vegetables. Add 4 cups of chicken stock. Add rice. Stir, cover and cook for ½ hour. Remove the skin and bones from chicken and tear into small pieces. Add chicken back into the pot. In another smaller pot, heat ¼ cup water, cornflour, egg yolks and yogurt over low heat. Stir constantly, after the mixture thickens, stir into soup. In a small frypan melt the butter, add the mint and chili powder and fry for a minute. Pour on top of the soup. Do not let this boil after you have added the yogurt or it will curdle. Listen to this great song and look at the shots they have put to the music. 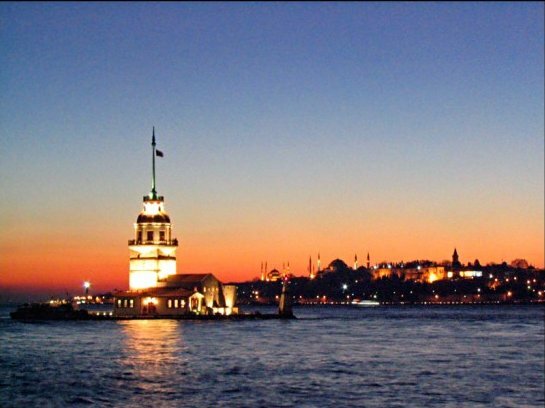 Istanbul, not Constantinople! This sounds really yummy. The dried mint on top would be wonderful too.